If you are thinking of a place in Mexico for honeymoons, then look no further than Puerto Vallarta. This enticing Mexican resort town is known for its beautiful scenery, but that’s just one reason why this destination is the ideal spot for having a honeymoon. The following factors all make Puerto Vallarta the go-to spot for romantic getaways and honeymoons. Something Old, Something New – One of the biggest appeals of Puerto Vallarta is its cultural heritage. This Mexican resort town is filled with cultural relics and architecture of the colonial era. When traveling through town and observing the various buildings and cobblestone roads, one can’t help but marvel at the cultural beauty of Mexico’s past. You get a taste of the past when venturing out and a taste of the new when relaxing in your hotel. A Scenic Treat – You will be surprised at how easy it is to get captivated by the wonderful view of this resort town. It is hard not to appreciate this Puerto Vallarta’s natural beauty with its cascading vistas and lush jungle, the idea place in Mexico for honeymoons. The coast of this resort town is surrounded by towering palm trees, and the jungle territory is perfect for hiking tours. Puerto Vallarta’s beachfront has its own exquisite delights, and you’ll find the view of the shore to be a majestic melody of sapphire hues. You and your spouse are sure to melt away while exploring the scenery of this magical town when choosing Puerto Vallarta, Mexico for honeymoons. A Touch of Class and Love – There aren’t too many places that compare to the romantic environment of Puerto Vallarta. This is probably why Elizabeth Taylor chose this site for her honeymoon with Richard Burton. The place is filled with the air of love. The sweet melodies from the street musicians are sure to get your heart pumping while you stroll along with your sweetheart. Enjoy movie-style sunsets while lounging on the beach and tasting your favorite drink. And you are sure to increase the romance when you take the private yacht tour of Banderas Bay. No matter where you turn, you are certain to feel the love in the air. You will probably fall even deeper in love after your stay in this romantic paradise. Memorable Honeymoon Experiences in Mexico – There’s always something exciting to do when you are enjoying this Mexican resort town! You can explore the ocean on a variety of tours. Grab your partner’s hand and can get in touch with nature while taking a jungle tour in Puerto Vallarta. You will definitely appreciate living the good life while experiencing these magical escapades when selection Mexico for honeymoons. 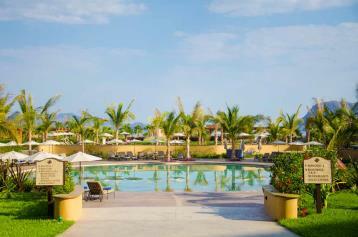 Upscale Extravagance – If you have ever wanted to live the upscale life, Puerto Vallarta, Mexico is the place to be. You will feel like top notch royalty when you honeymoon here. Get the ultimate in VIP treatment when you try this resort’s premium spas, upscale restaurants and exotic cafes. You will spend each day in awe knowing that you are getting the royal treatment while celebrating your sacred union. There’s no doubt you will agree that Puerto Vallarta is one of the best honeymoon destinations in the world. Puerto Vallarta, Mexico for Honeymoons should be your number one choice for romance.